The Aberdeen bypass job dragged Galliford Try’s construction division down to a £29.1m operating loss for the year to June 30 2018. But the firm highlighted a “strong underlying performance” from construction outside of the latest £45m hit from the Aberdeen Western Peripheral Route. 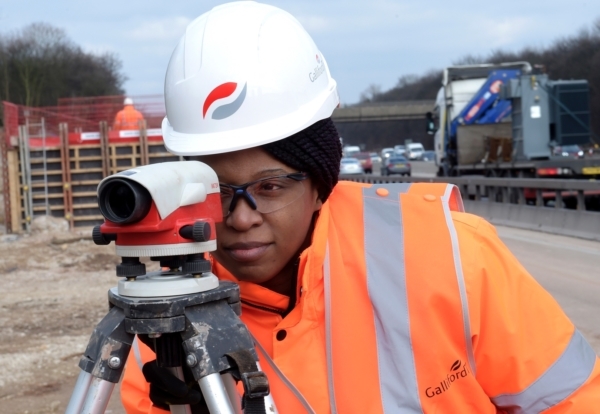 Galliford is also looking to recover £30m in claims on three infrastructure jobs “for a single client” which are currently going through the adjudication process. Pre-exceptional costs, construction made a £15.9m profit – up from a £900,000 loss last time on turnover up to £1,687m from £1,569m. Those numbers saw construction margins hit 0.9% as Galliford targets more than 2% margins by 2021. The total hit for AWPR has been £123m but Galliford said: “The majority of the route is now complete with significant sections open to the public, and completion of the remaining bridge expected in late Autumn. “Our provisioning for the loss on this project reflects our current estimate of the final costs, and is reduced by an estimate of our share of significant claims against the client and others, which are yet to be agreed and concluded. “This inherent uncertainty will be resolved only when the project is complete and the claims finally settled. Chief executive of Construction and Investments Bill Hocking said the firm’s ideal building job was in the £10-£80m bracket. Another strong year at Linden Homes helped group pre-tax profits increase to £143.7m from £58.7m on revenue up to £3,132m from £2,820m. Linden made an operating profit of £184.4m at a margin of 19.5%. Peter Truscott, Chief Executive, said: “Linden Homes continued to prioritise margin growth, benefiting from further standardisation and the robust control of overheads. “The underlying Construction business performed well and continues to see a pipeline of suitable opportunities, with new projects delivering improved margins.